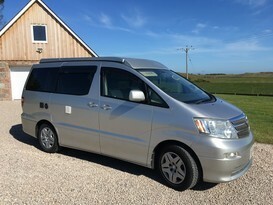 Modern, spacious and comfortable campervan. Pristine interior with fridge, gas heating, two burner gas hob and sink. Rock n roll bed and pop top for the kids or just to allow extra headroom when camped. Large leisure battery and electric hook up with 240v outlets. Easy to drive, powerful yet economical engine, automatic gearbox, power steering, air con, digital radio and sat nav. Kettle, toaster, linen and towels all provided. You can leave your own vehicle on our property during your hire, it's a safe and secure rural location behind electric gates. 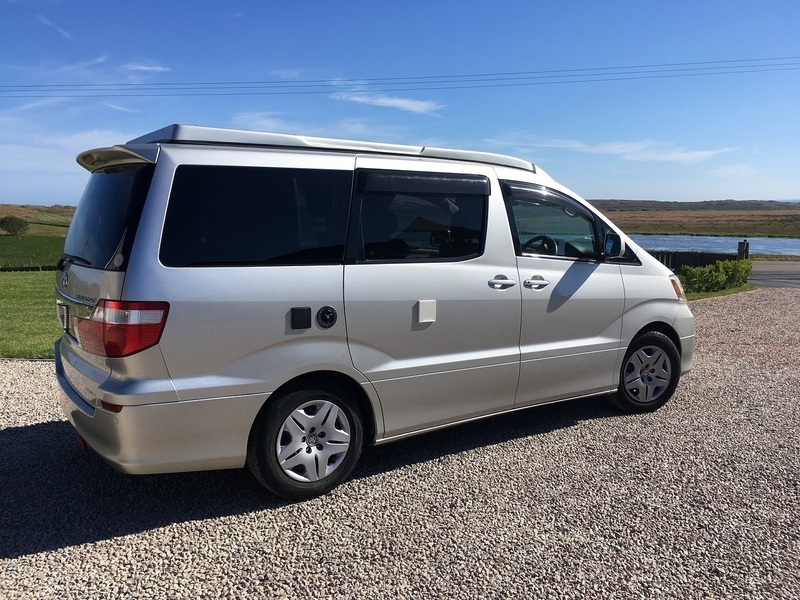 We're right on the route of the North East 250 touring circuit, offering the best of NE Scotland, 20 minutes from Aberdeen. Please return clean and tidy (on the inside). Please don't take the camper on to the beach. 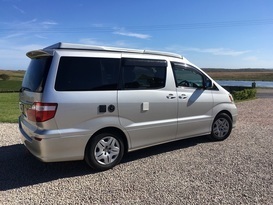 Please let us know what you plan to do with the camper during the hire period (touring holiday, festival etc) and how many adults and children will be using her. Family run camper van and sportscar hire business in NE Scotland.